Steven (Chicagoland, United States) on 23 November 2010 in Landscape & Rural and Portfolio. 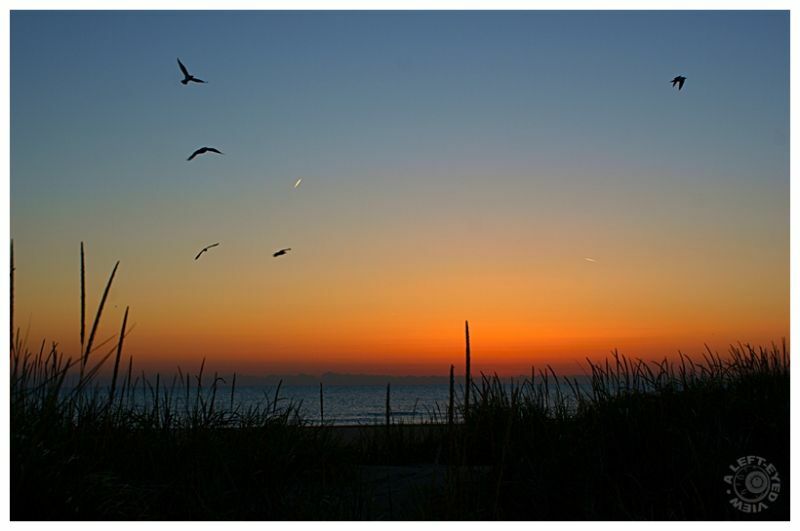 Seasgulls and contrails take to the sky before the sun rises. Captured at the Waukegan Municipal Beach on October 16, 2010. Very lovely laight and tones. Fantastic landscape! Simply beautiful :) Stunning colors of sunset ! A Gorgeous view and wonderful colors...the clouds wayyy back there on the horizon almost appear "summer-like"...Nice job capturing everything in such a way that the eyes are guided around the frame very nicely...excellent job Steven!! Another photo that I believe has turned out too dark on other monitors. I'm going to post two separate captures of this same photo processed on two separate computers tomorrow and I would appreciate any feedback as to which photo you feel has better exposure. That is a remarkable capture! I love the silhouetted grasses and the gorgeous colors. Wonderful, Steven! I could look at this one for a long while -- I did. I like the gradations of colour in the sky.